Dartington Primary School is located in close proximity to the A384; a large busy road. A number of natural ventilation strategies were developed in cooperation with Arup, including the use of landscaping as a barrier. This inspiring solid timber project presented challenges internally and externally. Natural ventilation is achieved through an external bulkhead cross-venting through the roof. The first step of any noise break-in assessment is to establish levels across the site. This was done by carrying out noise monitoring throughout the site, over the full operational hours of the school. A noise map was then created and used to assess the required level of attenuation required by facades of the school. The results indicated that the noise levels at the facades to the classroom block were higher than desirable. The solution to the high noise levels at the building facade was to naturally ventilate using an external ground floor bulkhead containing the NVA, with hot air flowing out through openable window vents also containing the NVA. This solution allows for natural ventilation when it would otherwise not be possible through an open window for example. In addition to this, an acoustic screen and a strategically placed earth bund were designed to reduce noise levels at the classroom facade. The bund was formed from recycled tires, adding to the sustainability credentials of the building. Dartington Primary School is an inspiring development because a solid timber construction system has been used. 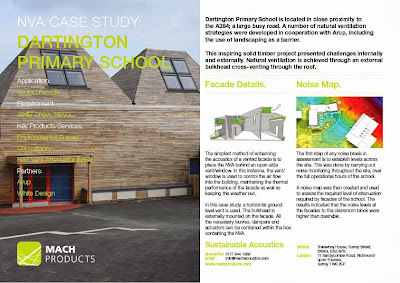 BB93 also sets room reverberation requirements and the exposed timber in combination with barn shaped classrooms required some form of room acoustic treatments. The solution used was several acoustic beams provided by MACH Products (below). 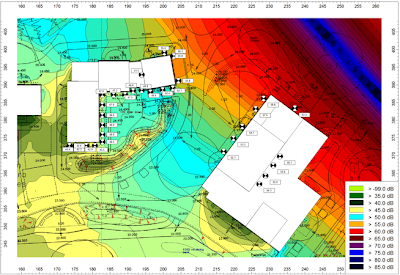 The school met all BB93 requirements and BB101 ventilation specifications. 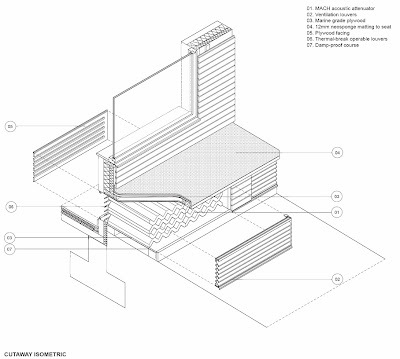 Not only this but the finished design was pleasing and added function to the facade besides ventilation. The build was featured in ‘BD Reviews’ sustainability issue, a bow to the innovative design by MACH Acoustics, White Design and Arup. The photo below features the wooden beams put in place to reduce the reverberation. Click the preview below to download the full case study.